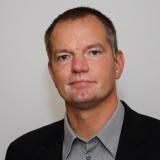 Lars Eriksson is full Professor in Vehicular Systems at Linköping University, where he is managing the Vehicular Systems engine control laboratory. His research interests are modeling, simulation, and control of vehicles in general and has co-authored the book Modeling and Control of Engines and Drivelines published by Wiley in 2014. His research interest spans the broad area from energy efficient vehicle propulsion into in-cylinder processes, where his research pioneered the real-time control of combustion timing using information obtained from the ion current. During the last 15 years his research has been focused on optimizing the fuel economy of turbocharged engines, while taking emission constraints into consideration. As manager of the engine laboratory he has an established contact network with researchers both in academia and in industry. Check out the incredible speaker line-up to see who will be joining Lars.